Discover how the capabilities of your PDM system can ensure that your engineers continue to maintain a high level of productivity. Outgrown your current PDM solution? Does your company have 100,000+ models and drawings and has hit the limits with PDM? Explore PTC´s PDM/PLM solutions. Within today’s highly competitive, geographically dispersed design and manufacturing environments, effectively managing product content has never been more important. 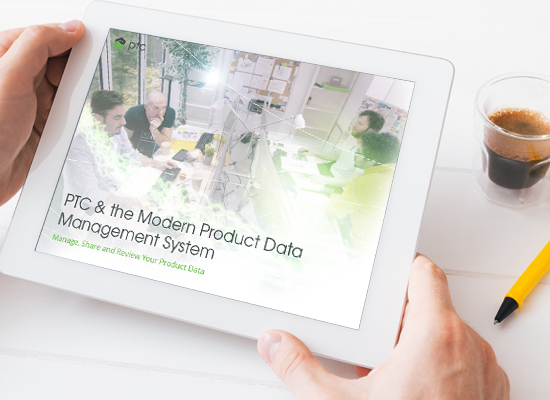 This ebook introduces PTC’s PDM solutions – enabling engineering teams to better manage, share, and review their product data – and provides in-depth demonstrations to the various PDM capabilities . Interested in learning more about PDM? Contact a PLM expert today !